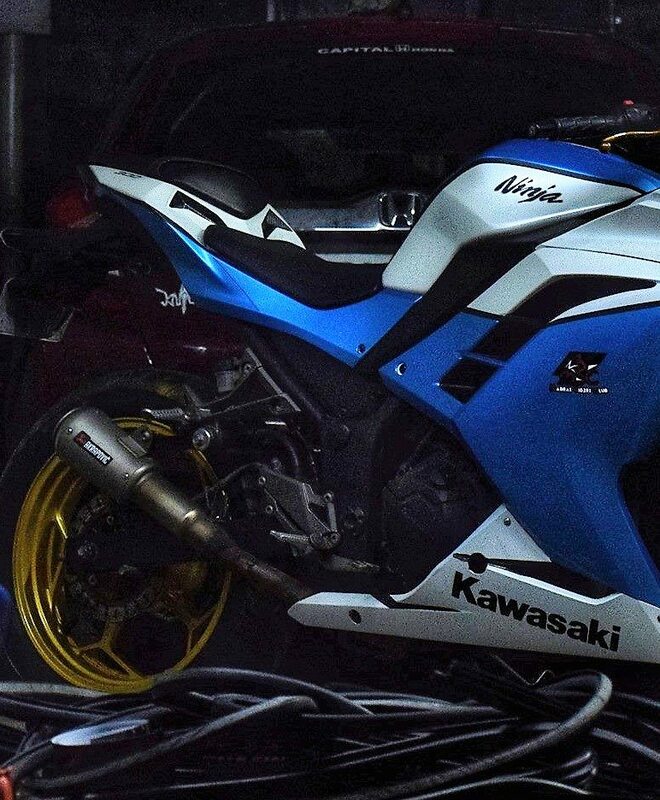 Whenever the name Kawasaki Ninja 300 comes to your mind, everything starts turning Green in itself. The most affordable Ninja is a great option to go if you need everyday performance and desirable mileage in a single package. 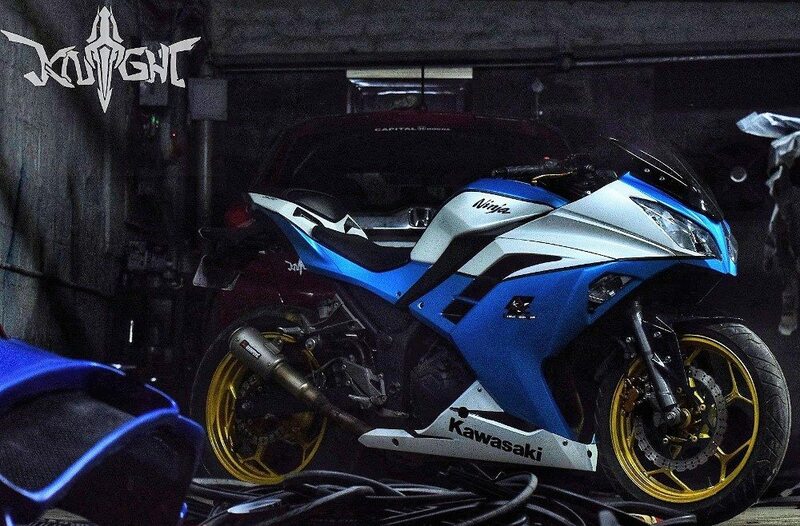 This time, Knight Auto Customizer has changed the standard notion and came forward with a Blue/Silver themed Ninja that looks extremely different from whatever one can image for the motorcycle. The finish is extremely neat and helps the Ninja flaunt its amazing design lines in the clearest possible way. The lower side fairing is Blue while space around the fuel tank is finished in silver from the side and Blue from the upper side. Knight Auto Customizer has used Golden alloy wheels that look extremely good on the motorcycle. It looks premium like certain liter class motorcycles and Akrapovic free flow exhaust further makes the ride better than ever. 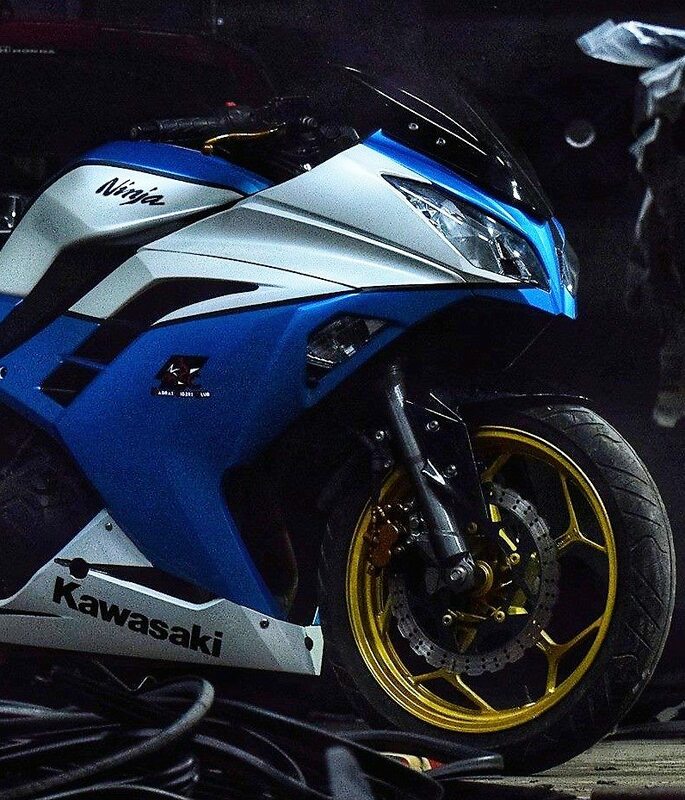 Ninja 300 is powered by a 296cc, twin cylinder engine producing 38.5 BHP at 11,000 rpm and 27 Nm at 10,000 rpm. The engine comes mated to a 6-speed gearbox. 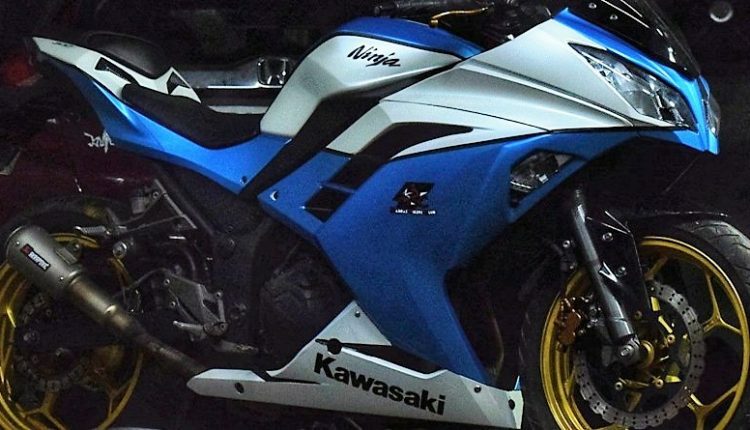 It rivals none other than Yamaha R3 and KTM RC 390 in India. 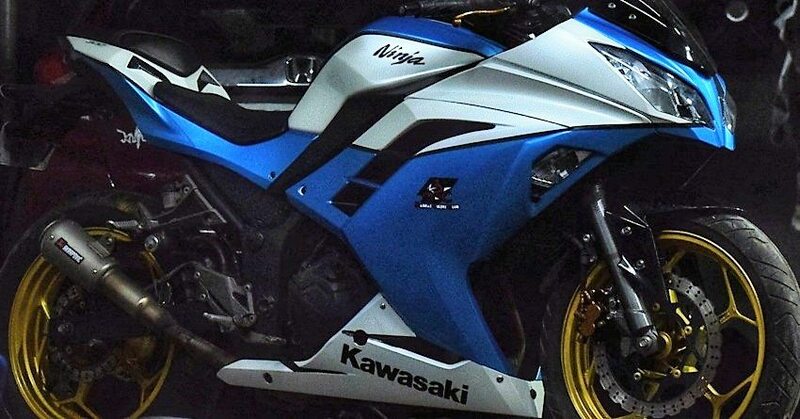 Getting Ninja in this unique shade will definitely raise the attention quotient of the bike. Address: Plot no. 198, Village High Road, Behind Punjab National Bank, Sholinganallur, Chennai- 600 119.